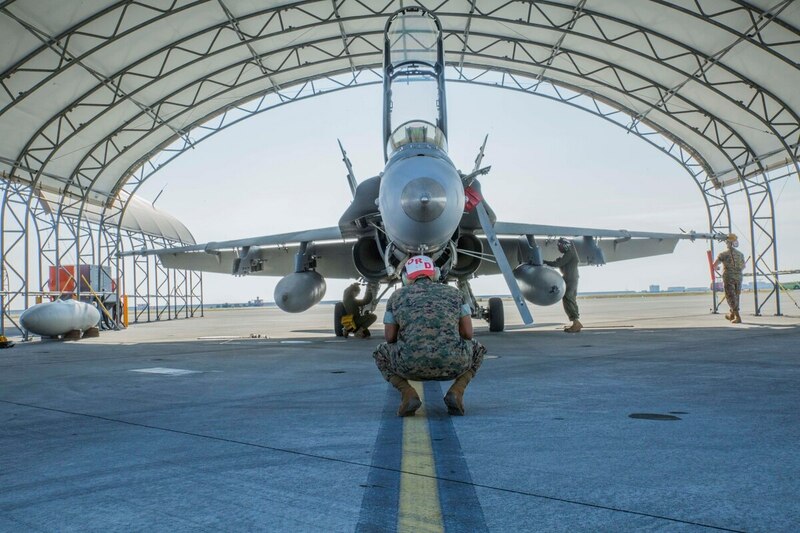 The Marine Corps’ aviators have increased their monthly flight hours per pilot, and are now flying substantially more than Air Force pilots, military officials said. 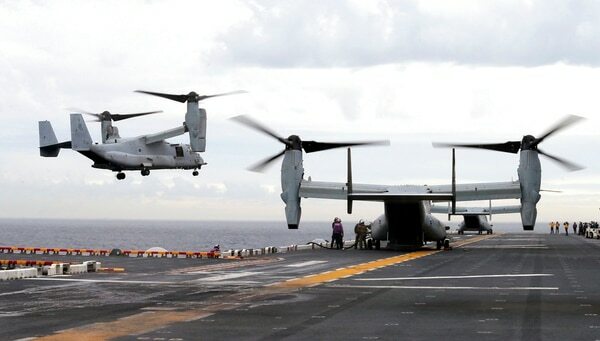 Both the Marine Corps and Air Force are facing pilot shortages and aircraft readiness problems that have left a large number of aircraft grounded. But the Marine Corps says it has made strides over the past year increasing monthly flight hours. In 2017, the Marines had 12 air incidents that resulted in either death or more than $2 million in damages, also known as a class A mishap. The Marines have steadily been pushing to increase flight hours and to get more aircraft and pilots in the air. But flight hours can fluctuate drastically from unit to unit, especially with pilots are deployed down range. “Why do you think the Marines are ahead of you on this?” Oklahoma Republican Sen. Jim Inhofe asked Gen. Wilson. “I don’t have a good reason why they are ahead of us,” Wilson replied. Wilson said the Air Force is trying to catch up by increasing manpower, productivity, instructor pilots and capacity to help pilots increase their flight hours. “We are trying to increase about an hour per month going forward this year,” Wilson told the senator. Aviation readiness has been a problem impacting all the services. Last year the Corps reported that nearly half their F/A-18 Hornets couldn’t fly and those numbers have only improved slightly with the increase of 44 new aircraft, Walters said. Marine Commandant Gen. Robert B. Neller said in late January that the Corps has too many Hornets. The service is trying to push out older legacy aircraft and replace them with a new generation of fighters and rotary wing aircraft. The Marines just can’t afford to keep all the aircraft maintained and serviced, Neller said. Moreover, pilot shortages have plagued both the Air Force and Marines as competition from commercial airlines continues to pluck away trained and experienced pilots while military budget woes are grounding pilots and aircraft. But more bonuses and bigger paychecks are not necessarily the answer to the problem. “They don’t come in to get rich, they come to fly,” Walters said, about the motivation that keeps pilots in the service. The Pentagon’s FY19 budget is expected to address some of these issues.